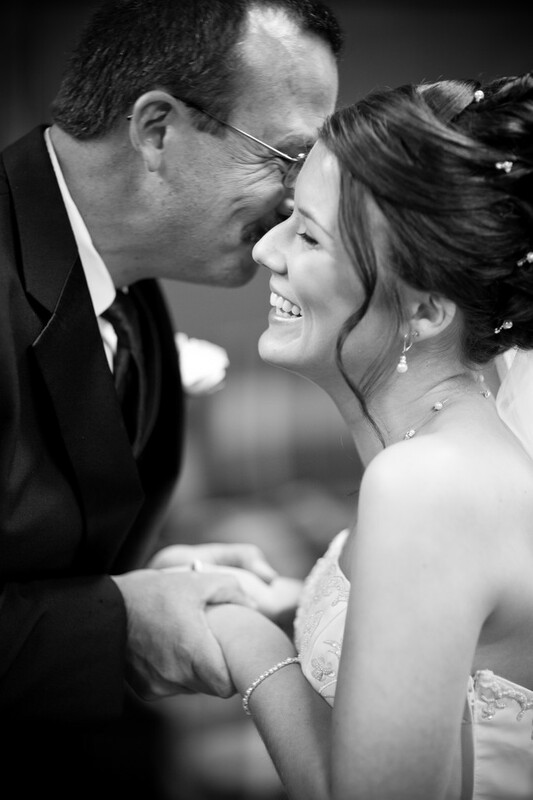 The bride's father seeing his daughter in her wedding dress for the first time and watching them embrace is always a wonderfully emotional moment. This moment happend just before her wedding at a church here in Oshkosh, Wisconsin. 1/125; f/1.4; ISO 400; 85.0 mm.